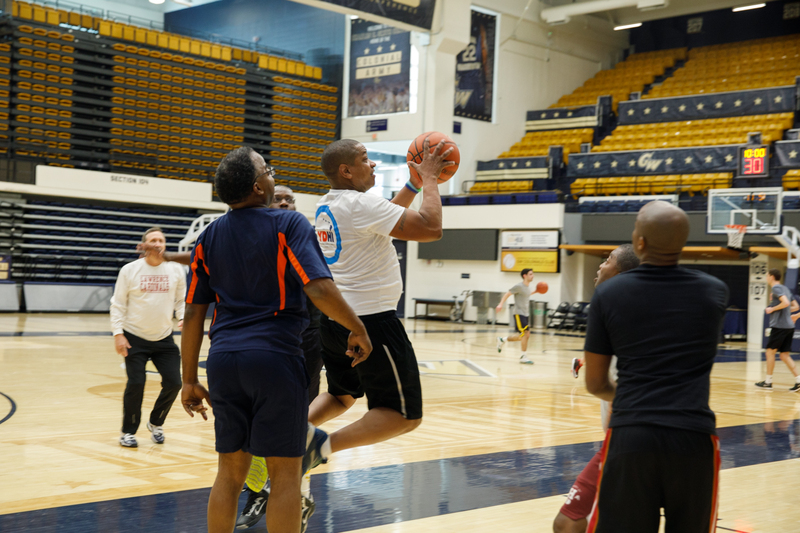 The Virginia senator and GW alumnus brought friends, politicians to the Smith Center for his annual pickup basketball games. 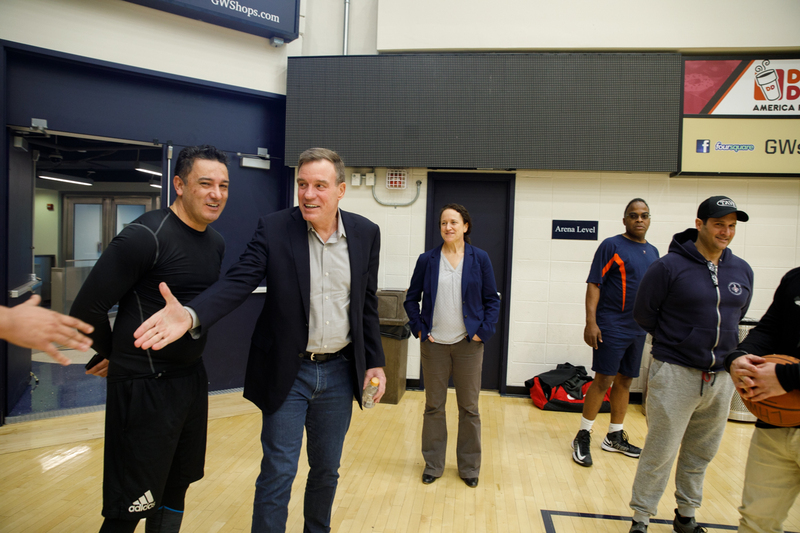 GW alumnus Sen. Mark Warner (D-Va.) kept an annual Thanksgiving tradition, a spirited set of pickup basketball games in the Charles E. Smith Center on the George Washington University's Foggy Bottom campus on Nov. 21. Mr. Warner was joined by several friends, including Virginia Lt. Gov. Fairfax Justin E. Fairfax (D), as well as members of the basketball team from the School Without Walls. The pre-Thanksgiving games began for Mr. Warner, B.A. '77, when he was an undergraduate at GW. 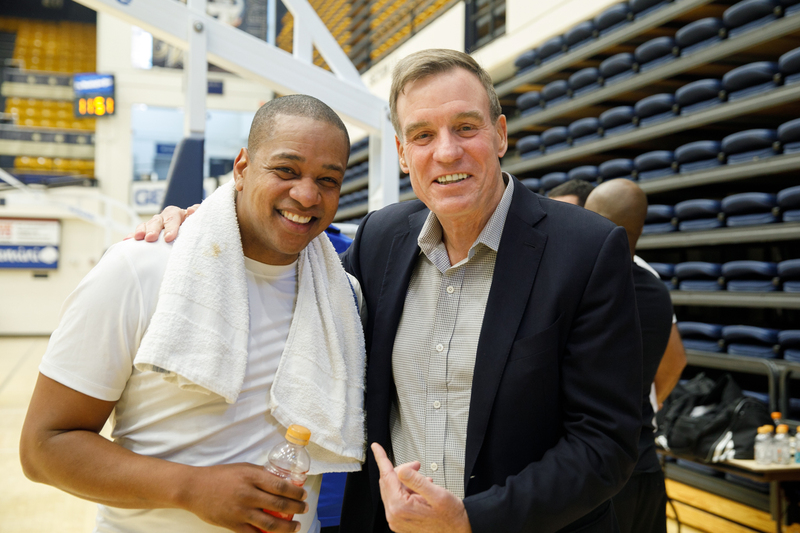 Sen. Mark Warner arrives at the Smith Center for his annual tradition of pre-Thanksgiving pickup basketball games. Virginia Lt. Gov. Justin E. Fairfax drives toward the basket during the set of games. 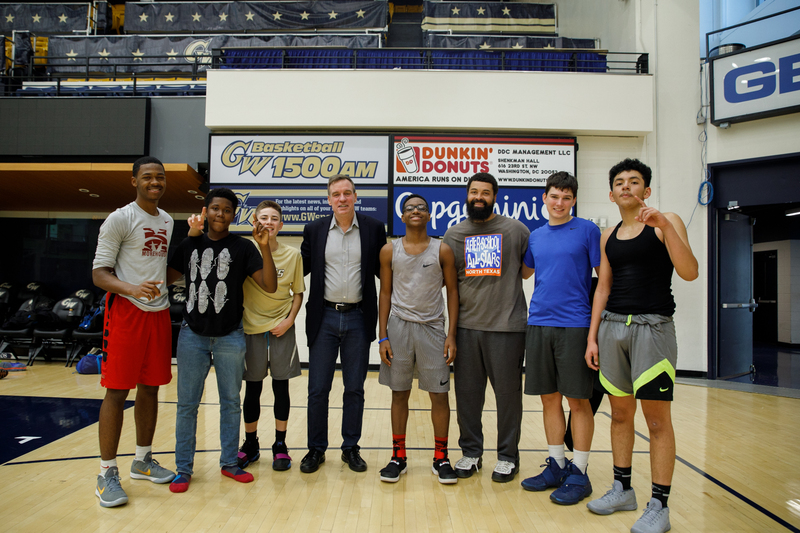 Sen. Warner joins members of the basketball team from the School Without Walls. 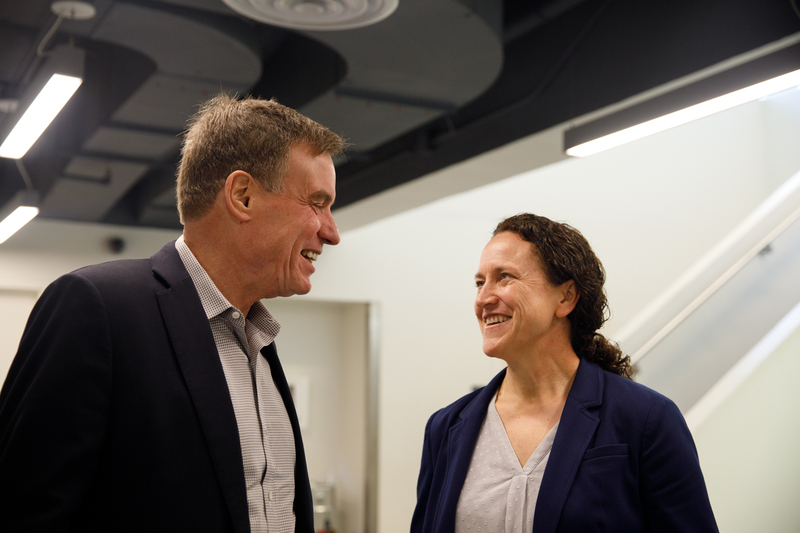 Sen. Warner catches up with Tanya Vogel, GW's director of athletics and recreation. Joining the senator's pickup games this year was fellow Virginia politician Lt. Gov. Justin Fairfax (D).